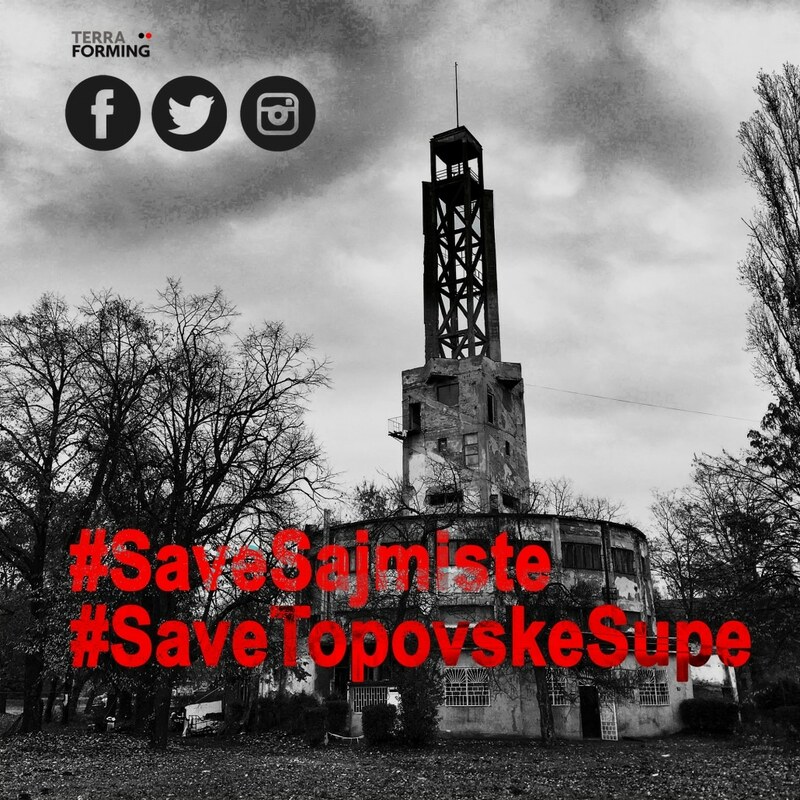 Terraforming launched a campaign 1-Pic/Day #SaveSajmiste #SaveTopovskeSupe on Facebook, Twitter and Instagram to raise awareness of the urgent and pressing situation of endangered authentic Holocaust sites at Sajmiste and Topovske Supe in Belgrade. After 75 years these sites are in shameful state: ignored, dirty and neglected. We have to turn these spaces of suffering and oblivion into spaces for education and remembrance NOW. Join our campaign and share the info: urgent preservation & permanent memorial NOW! Read more about the history of Sajmiste. Teaching material developed in a form of a collection of graphic novels about life in the pre-war Serbia and the young Holocaust victims of the concentration camp at Sajmište. 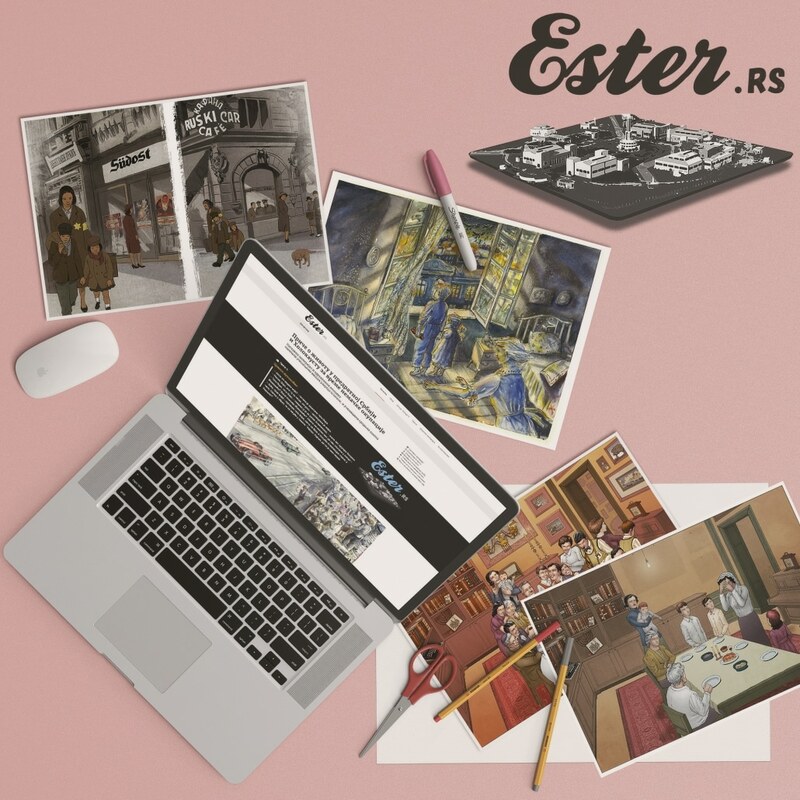 A publication about graphic novel, literature and archival material in education about the Holocaust, available for download (PDF in Serbian). 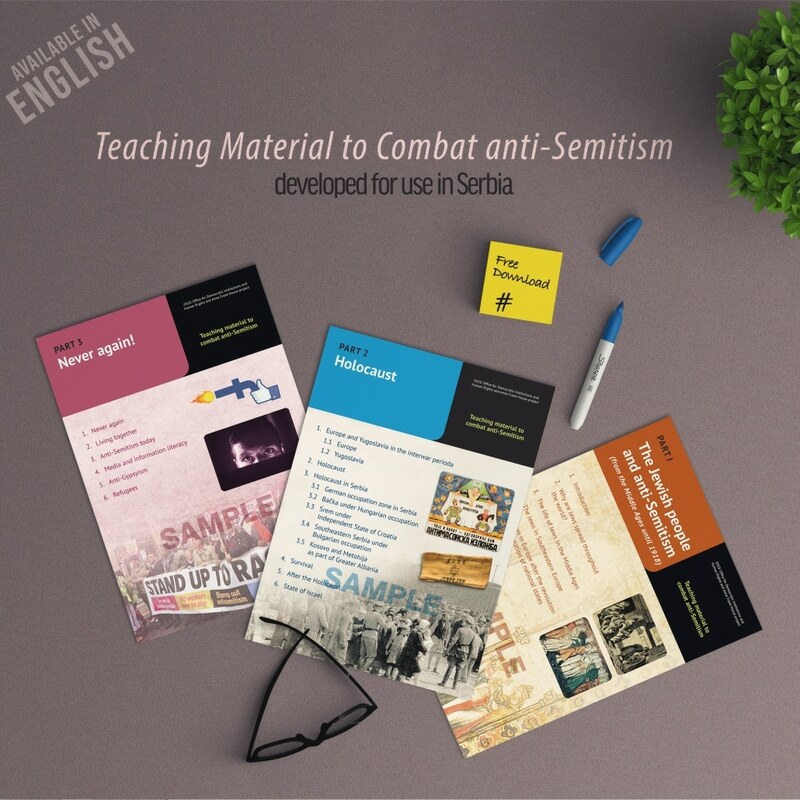 Developed by Serbian experts as a part of OSCE/ODIHR and Anne Frank House project, this teaching material for use in Serbia is available in English, too. 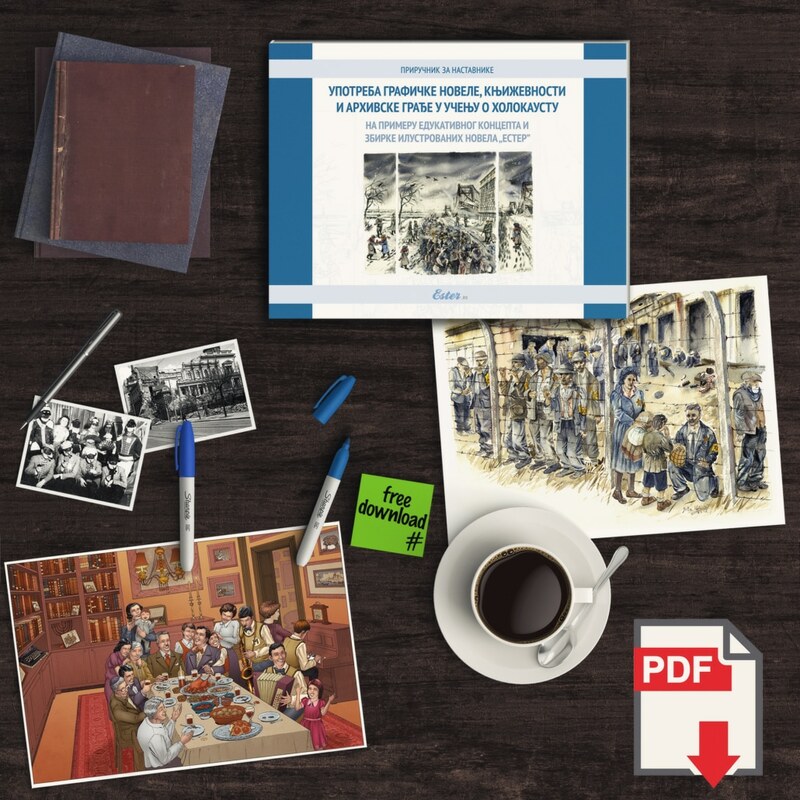 Six-panel set, ready for download, print, and exhibiting, is developed for better understanding of the historical experience in Serbia in the context of the European Holocaust. An exhibition and a workshop concept with the original teaching materials developed by the Anne Frank House experts, translated and adapted for use in Serbia by Terraforming, is continuously touring since 2015, visiting more than 50 schools and libraries in 40 cities around Serbia and the region. 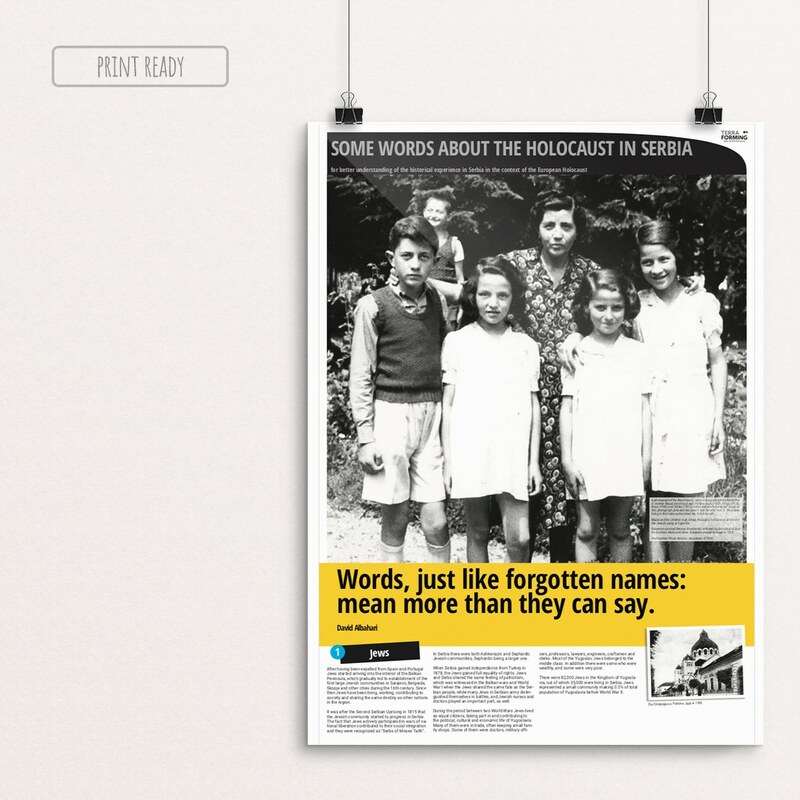 The project “The International Library Platform for Teaching and Learning about the Holocaust” developed by Terraforming South (Serbia) is awarded the annual Yehuda Bauer Grant for 2016. IHRA awards this honor annually to an outstanding project proposal submitted through IHRA’s Grant Programme. The recipient of the Yehuda Bauer Grant is selected by the Funding Review Committee from among all proposals recommended to IHRA’s member country delegations for funding. We would like to express our sincere thanks to the International Holocaust Remembrance Alliance IHRA and to the Funding Review Committee. We deeply respect IHRA as the most important multilateral body that shapes international and national policies, and gives crucial guidelines and support in the fields of education, remembrance and research about the Holocaust. That is why this award is truly a great honor, and a major endorsement of our work. Our educational concept and teaching material Ester.rs , developed in the frames of the OSCE/ODIHR programme “Turning Words Into Action to Address Antisemitism”, is featured in the OSCE/ODIHR video “Addressing Anti-Semitism Through Education”.